I know apple season is over but there’s something about winter and baking apple pies 🙂 And in this deep freeze we’re in, I’m feeling like some warm apple pie. I’m not proud of this but I’m pretty lazy when it comes to making pies and I actually prefer to bake it freestyle. The pie crust is Martha Stewart’s pate brisee recipe – traditional and classic. I used royal gala apples with cinnamon, brown sugar and a tablespoon of flour to thicken the juices. Now where’s the vanilla ice cream? 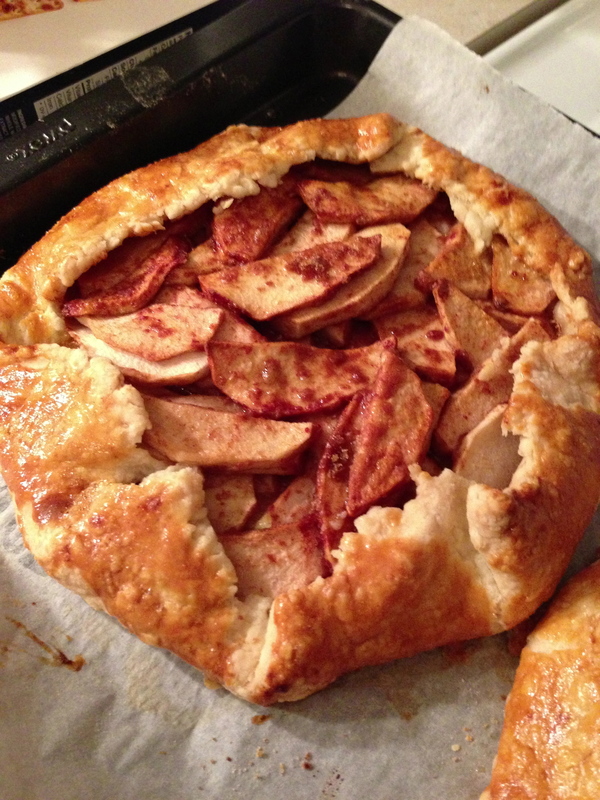 Hot out of the oven – my rustic apple pie! Such comfort food for me! i agree, it's so much easier to do it crostada style than to fit the crust into a pan and make sure it doesn't tear, etc. tastes just as good and looks pretty too.